This fall, the Office of the Vice Chancellor for Equity, Diversity, and Inclusion launched the first-ever Inclusive Excellence @ UC San Diego: 2018 Progress Update that reflects important diversity developments on our campus—the programs, people and policies that are transforming UC San Diego. The university’s equity, diversity and inclusion accomplishments focus on key areas for students, faculty and staff, which are supported by accountability data. 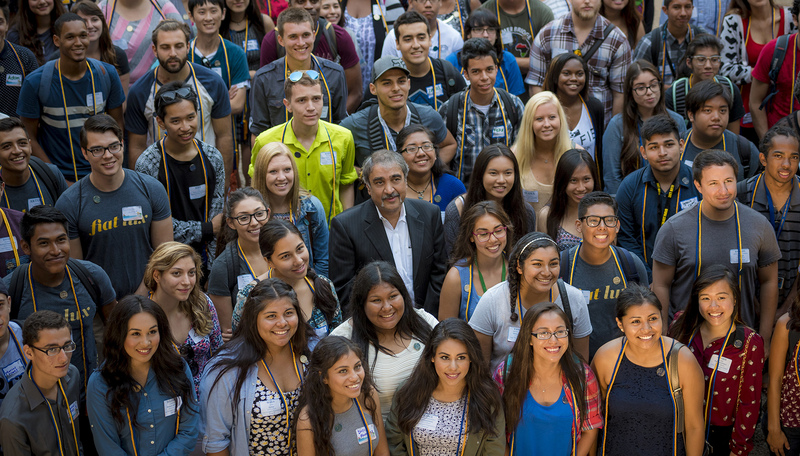 “This progress would not be possible without each of us doing our part to live up to our vision of a campus where all members of our community can thrive,” said Chancellor Pradeep K. Khosla. We invite you to take a look at our accomplishments, programs, profiles, diversity data and more here.